Today (February 8th) is the first day of Chinese New Year, celebrated in several countries in Asia region. 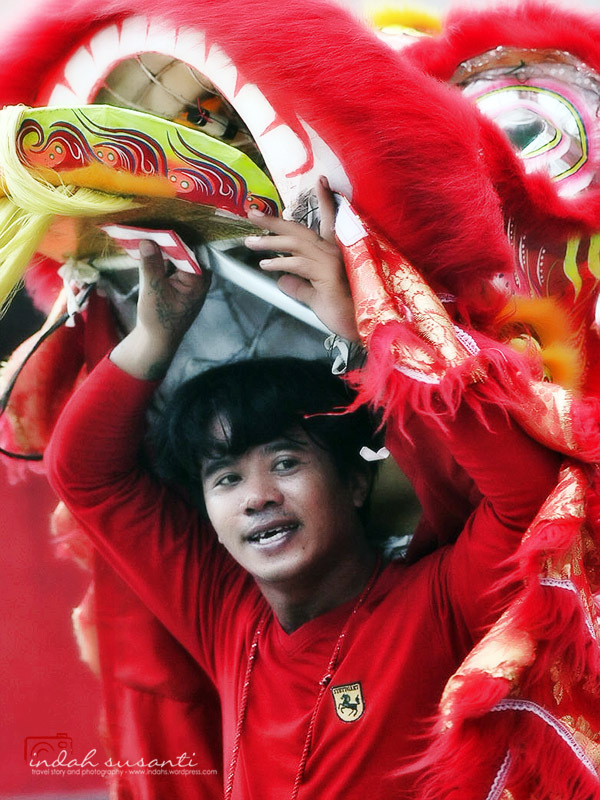 Indonesia is one of the countries in the region that also celebrates the New Year and acknowledged the first Chinese New Year day as a national holiday. Indonesia has a large number of immigrants from China in the past, and they have been integrated and became part of the nation as citizens. The honor to acknowledge the event as part of Indonesian national events happened because of Abdurrahman Wahid, the most tolerant President whom Indonesians ever had. 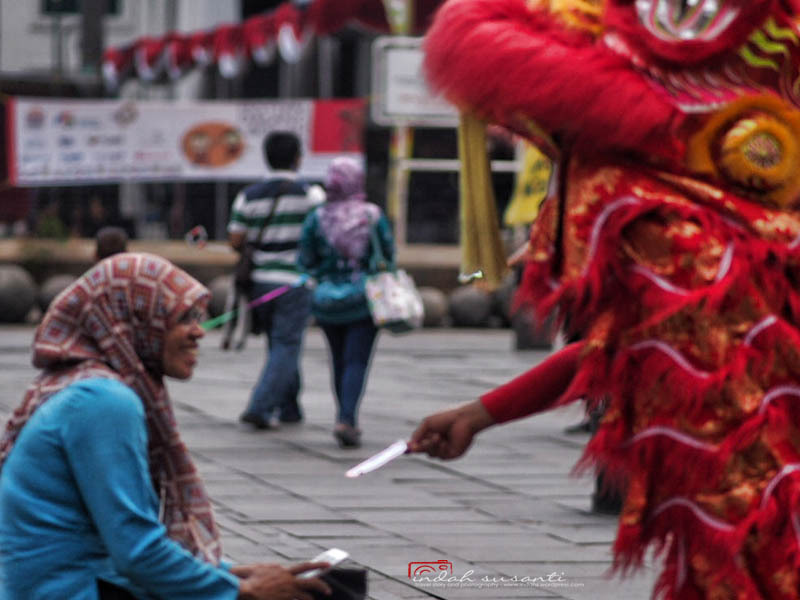 I remember I went to the first openly Chinese New Year celebration in Fatahillah Square, Jakarta. It was a wonderful event, full of vibrant colors and you know, seeing happy faces of many Jakartans who finally free to celebrate their tradition event publicly was priceless. Unfortunately, I could not find the images that I took back then; I did not even remember where I kept them. Last year, I returned to the Fatahillah Square. The square was busy with people wore funny custom, trying to lure visitors to take pictures with them for small money. One of them that attracts me was a Lion Dancer; it’s typical dance played on the Chinese New Year celebration. He offered the visitors a red envelope (ang-pow) to get it filled with money, of course. Fatahillah Square itself has dark history when relates to the Chinese immigrants in Indonesia. In Year 1740, during the Dutch colony regime in Indonesia (back then Indonesia was called as Dutch East Indies), Batavia massacre happened, and thousands of Chinese people who lived in the surrounding area of Fatahillah Square and protested against the Dutch regime were killed by the Dutch army. The river next to the square became their graveyard, where the Dutch threw away their bodies. The river then called as Ang Ke – which in Hokkien “Ang” means Red, and “Ke” means River as the river water turned to red. Today the Jakartans called the river as Muara Angke. It is still known as one of the scariest areas in the town. I am sure by now such tragedy won’t repeat and today, the Chinese tradition is acknowledged as part of Indonesia and the Indonesians celebrate it nationally, how unique is that! Happy Chinese New Year and wishing you a wonderful Monkey Year!